Straighten your teeth and fix your bite with a convenient solution that’s nearly invisible and can be taken out at meal times. 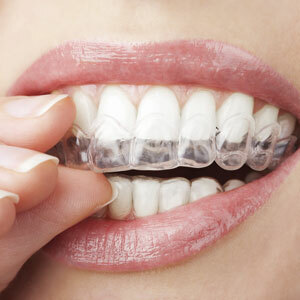 Invisalign® is also an excellent option for people who had braces in their teens but didn’t wear a retainer. 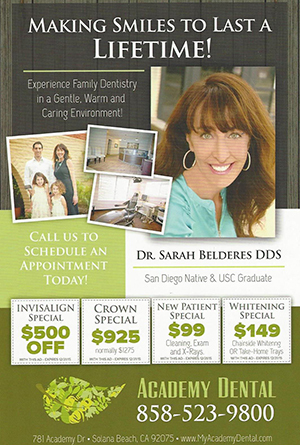 At Sarah Belderes DDS, we’ll get you started by having a consultation to make sure you’re a candidate for Invisalign®. Then we’ll take impressions of your bite and pictures, sending these materials to the Invisalign® laboratory. They’ll send a digital rendering of what our options are to straighten your teeth. Clear, plastic aligners are changed out every two weeks, with you coming in for appointments every six weeks. You’ll wear your aligners for 20-22 hours per day, usually taking 6-9 months. When your treatment is complete, you’ll wear a dental retainer just like you would with traditional braces. Many insurance plans have benefits for orthodontics and will cover a portion of Invisalign®. It depends on your insurance plan, but we are happy to check your coverage for you. Early morning appointments are available on Wednesdays. Schedule a time to find out how we can help you get the smile of your dreams!